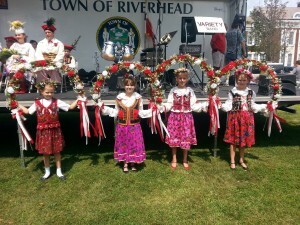 The 42st Annual Polish Town Fair will be held August 20-21 in Polish Town, USA. Free Street Fair & Carnival from 10am to 6pm both days. Booths featuring a variety of food, crafts, imports, arts, jewelry and specialties. 10am: Polish Mass at St. Isidore’s RC Church, followed by a reenactment of an old fashioned Polish Wedding at noon on the church steps. 11:30am: Flag raising ceremony by the show mobile with a Polish choir, plus demonstration of Polish customs. Miss Polish Town USA 2016 will reign over festivities. Come taste Polish Town’s famous kielbasa sandwiches, pierogi and grandma’s polish babka bread. Don’t forget to pick up a souvenir cook book, t-shirt and annual 2016 Polish Town mug! Music both days at the show mobile will be provided by DJ Hank. POLISH DANCE FESTIVAL AT POLONAISE PARK! 6 hours of polka fun starting at 5pm. Music provided by The Boys along with Mike Costa and the Beat. Admission $13 for adults, children under 12 $8. Sunday: Join us under our Pavilion for family entertainment beginning at noon. History of the Polish Town Fair here.